There are a variety of historic trails and wagon roads on White Acres. On the east, these are mostly old wagon roads which served the Bott & Langmeyer quarries. One historic road crosses the Dakota hogback and connects to historic roads and trails on the west slope which provided access to Section 16. Since Red Rock Canyon was opened to the public, a renegade trail on White Acres just west of the crest of the Dakota hogback has become increasingly popular. 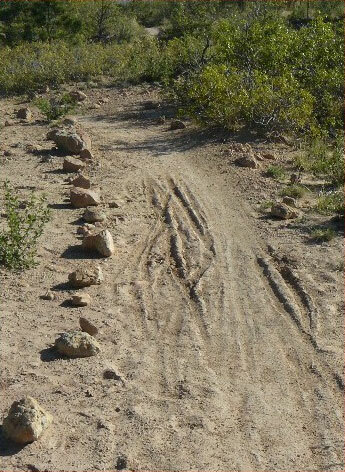 This trail, which partly follows a historic trail, connects the Lion Trail in Red Rock Canyon Open Space to the Section 16 Trail (Palmer Red Rock Loop) and the Meadow Red Rock Loop in Section 16.